He can identify a carnivorous dinosaur from a single fossil tooth. A dinosaur museum has been named in his honor. He’s among the most revered paleontologists of his generation. 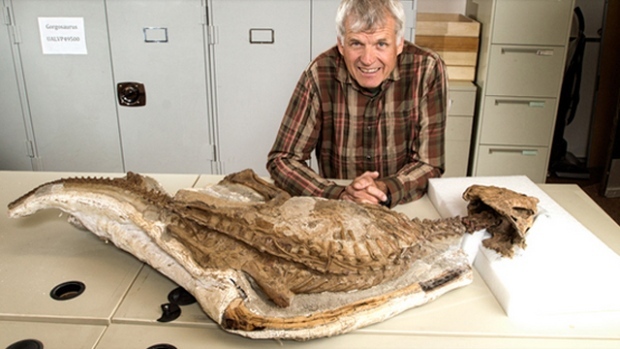 Phil Currie is one of the leading dinosaur detectives in the world. Working mostly in his native Alberta badlands, Currie has worked on many spectacular discoveries, including the Centrosaur bone bed, an assemblage of tyrannosaurids that suggest pack hunting behavior, and a number of fossil collecting expeditions to the Arctic, South America, and Mongolia’s Gobi Desert. Playing a role in the University of Alberta’s open online course, Dino 101, has brought Currie’s expertise to an even wider audience of children and adults alike. Under his tutelage, the next generation of Canadian dinosaur hunters are being born in the badlands and his influence will surely be felt for centuries to come. 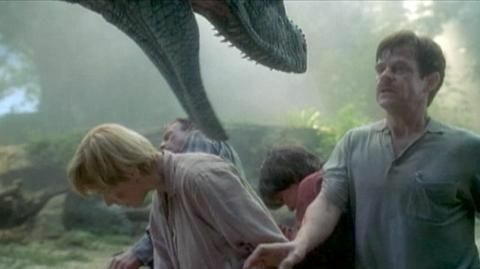 We also celebrate the birthday of William H. Macy today, who played Paul Kirby in the third film of the Jurassic Park franchise. Hope nothing chases you today, William! Post your favorite Phil Currie and William H. Macy photos and share them with us on Facebook and Twitter using the hashtag #TDIDinos.